“There must be no doubt that the long coiled hair and the turban go together as one of the five K’s; as they are called — the articles of the religion dating back over 500 years. Definitions have been clearly made by the Gurus from time to time.” (Sydney Bidwell MP (Ealing-Southall speaking in the House of Commons on 28 January, 1975 ref. His book “The Turban Victory”. For a Sikh, the dastaar (Sikh turban) is a religious requirement by the Guru’s own injunction. Dastaar is an essential article of faith for male Sikhs, about that there should be no misunderstanding: men must wear it, while it is optional for women. Four quotations are given below: the first from “Sikh Reht Maryada – The Code of Sikh Conduct & Conventions” and two from writers who were with Guru Gobind Singh Ji. “For a Sikh, there is no restriction or requirement as to dress except that he [or she] must wear Kachhehra [a drawer type of garment] and turban. A Sikh woman may or may not tie a turban.” Panth approved “Sikh Reht Maryada – The Code of Sikh Conduct & Conventions – Article”, Article XVI (t). 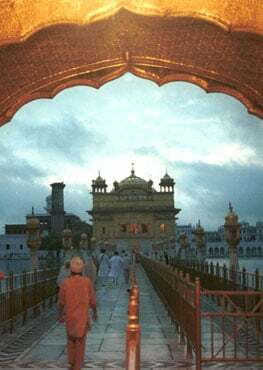 It becomes rather tedious reading Sikh scholars quoting the Old Testament, “Once they enter the gates of the inner Court, they are to wear vestments. They shalt wear linen turban, and linen drawers on their loins.” So what, I ask myself. Is it not enough that my Guru instructed me to wear a turban over my unshorn hair? In the same way, references by Sikh scholars to Samson and myths about the power of hair do sound quite ridiculous! Also, in India, the turban was and continues to be, a symbol of royalty, being used in place of a crown. The Sikh dastaar makes the Sikh a sardaar (chief or lord). Without dastaar, a Sikh is not a sardaar, and no one addresses him so. The Sikh dastaar, worn neatly and with dignity, does combine and represent the miri-piri (temporal and spiritual) aspects of Sikhi . “In gareeb Sikhan ko dioon paatshahi” – I shall bestow royalty on these poor Sikhs was the Guru’s promise. And so, by replacing their servile topis (caps) with the kingly turban, and by placing the sword of honour – the defender of human dignity - in their hands, that is precisely what the Guru did. According to the Universal Declaration of Human Rights, “Everyone has the right to freedom of thought, conscience and religion; this right includes…..either alone or in community with others and in public or private, to manifest his religion…” (Article 18). The French passed a law, which contravenes a human right agreed to at the international level. In fact, the French are going against the spirit of their own constitution. It was the French Revolution which gave the world the famous slogan – liberty, equality and fraternity. 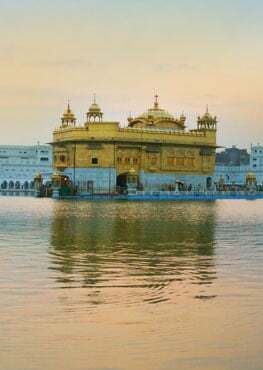 As is accepted, if the Sikh daystar is a symbol of dignity, freedom and moral courage to fight against injustice facing all the odds and difficulties, then the French ban is a challenge for the Sikhs worldwide, to resist such injustice. The Sikhs should continue to seek the support of the international community. Sikh youth today are looking for extrovert role models like Ravi Singh of Khalsa Aid (UK) and the globe-trotting Kirtania world-musician, Dya Singh of Australia, who are proud of their Guru-given dastaar and Sikh identity. Over the years, hundreds of turban-wearing Sikhs around the world have succeeded and excelled in their chosen professions. The dastaar, as part of the sabat-surat sardaar Sikh personality gave them the strength of character and the courage to face all odds and to succeed. That is also my personal experience of living and working in the UK for over 56 years. “There is absolutely no doubt that the wearing of the turban is an essential part of the Sikh religion. The ten gurus, the founders of the religion and the architects of it, all wore turban themselves.” Lord Avebury 5th October 1976 – Second Reading of the “Motor-cycle Crash-Helmets (Religious exemption) Bill”.